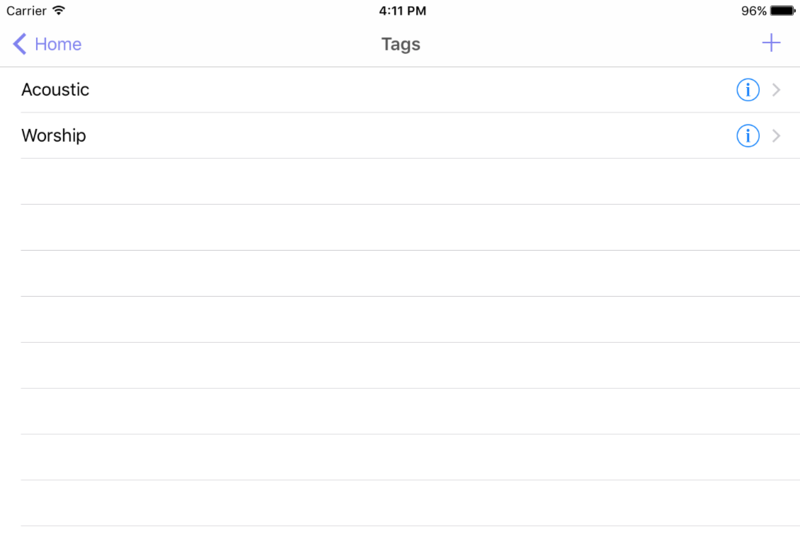 To get to the tags open the main menu and tap “Tags”. After you do that you will see a list of all your tag shown below. Editing a tag – Tap the info icon to the right of the tag and this will open the edit Tag view where you can change the tag name. Deleting a Tag – Swipe your finger right to left. This will make the “Delete” button appear. Tap the delete button and the Tag and all of the associated data with it will be removed.